Léa Seydoux (born 1 July 1985) is a French actress and model. Along with award-winning performances in French cinema and television, she has appeared in major films including Inglorious Basterds, Robin Hood, Midnight in Paris, and Mission: Impossible – Ghost Protocol. In 2013 she shared the Palme d'Or prize at the Cannes Film Festival for the film Blue is the Warmest Color. It was announced early 2014 that Lea will be nominated for the Rising Star Award of the BAFTAs. 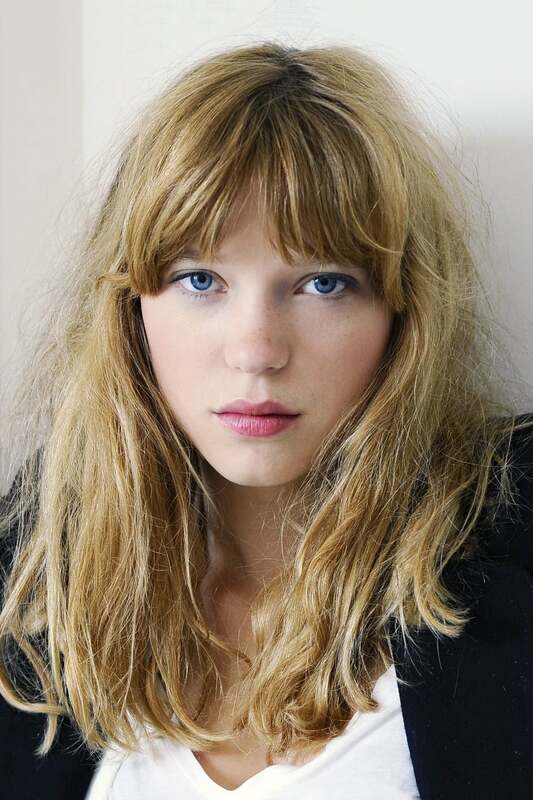 Early life Léa Seydoux is the daughter of businessman Henri Seydoux and Valérie Schlumberger. She has five younger siblings and an older sister, Camille. Seydoux was born in the Parisian district of Passy, but grew up in Saint-Germain-des-Prés. Her parents divorced when she was a small child. Through her family involvement in media and entertainment, Seydoux grew up acquainted with prominent artists such as photographer Nan Goldin, Lou Reed, and Mick Jagger. The Seydoux family is widely known in France. Her grandfather, Jérôme Seydoux, is the chairman of Pathé; her granduncle, Nicolas Seydoux, is the chairman of Gaumont Film Company;her other granduncle, Michel Seydoux, also a cinema producer, is currently the chairman of the Lille football club, LOSC; and her father is CEO of the French wireless company Parrot. Her mother Valérie Schlumberger is a former actress and the founder of the boutique CSAO (Compagnie d'Afrique du Sénégal et de l'Afrique de l'ouest), which promotes the work of African artists, and Seydoux once worked as a model for their jewelry line Jokko. Schlumberger, who lived in Senegal as a teenager, is also the founder of the charitable organization ASAO (Association pour le Sénégal et l'Afrique de l'Ouest). Seydoux describes her youthful self as short-haired, slightly disheveled, and widely viewed as a bit strange: "People liked me, but I always felt like a misfit." Still concerned for her shyness in adulthood, Seydoux has admitted to having had an anxiety crisis during the 2009 Cannes Film Festival.